Douglas Russell, speaking about the phenomenon in the New Scientist. said: "As the curator of the British Natural History Museum egg collection, I've come across quite a few examples of egg odities. "Double eggs (as opposed to multiple-yolked eggs) are less common than some other zoological anomalies and consequently the ovum in ovo has attracted specific scholarly attention for hundreds of years. 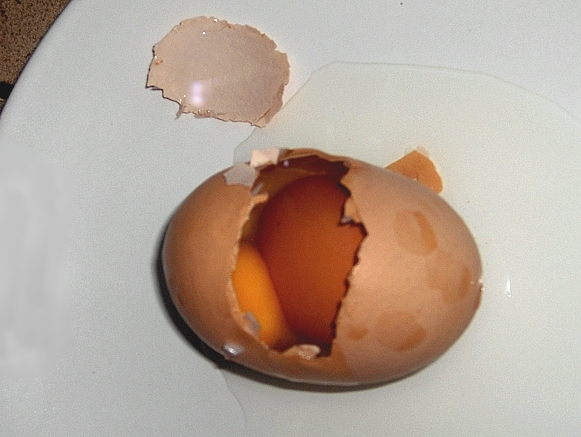 "Several theories have been proposed for the origin of double eggs. "The most likely suggests that the normal rhythmic muscular action, or peristalsis, that moves a developing egg down the oviduct malfunctions in some way."